Going through the eras of mainframes, personal computers, server-client computing and the web, we have come to the 5th generation of computing “The Era of Cloud Computing.” With an estimated $42 billion infrastructure-market in 2012, “cloud computing” has become the biggest trend on the web. Today, cloud computing has become a popular topic due to its everyday use by almost all internet users. Anyone using Gmail, Facebook, Blogger, Flicker, Amazon, etc. uses cloud computing. As a result of daily use by everybody, knowledge of cloud computing has been added to the “basic requirement set” that every internet user must have. In this article we will walk you through the basics, pros and cons of cloud computing. 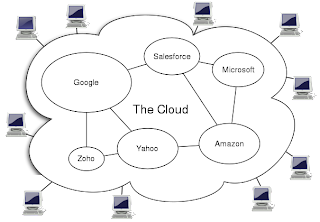 At the abstract level, “cloud computing” refers to the supply of scalable, reliable, maintainable and flexible IT resources over the Internet. From an initial dependence on local resources, today we are moving towards networked resources. Why are people so eager to move into cloud computing? The easy answer would be its simplicity and cost effectiveness. Today, all companies irrespective of their size need business “apps,” which are normally too expensive because such apps require servers, networks, cooling, power, office space, supporting apps, and a team of hired people to configure them. Further, they have to maintain this support throughout the system’s lifetime. When the business becomes larger and larger, this maintenance becomes a complete headache. Cloud computing gives us solutions to the problem of support and maintenance by providing us with applications and services, as well as the infrastructure within which we can operate. With cloud computing you need nothing but a computer and a connection: connect to the network and start using the app, with a simple “plug and play” concept. By deploying IT infrastructure and services over the network, an organization can purchase these resources on an as-needed basis and avoid the capital costs of software and hardware. With cloud computing, organizations can monitor current needs and make on-the-fly adjustments to increase or decrease capacity, accommodating spikes in demand without paying for unused capacity during slower times. Most importantly, with cloud computing you are freed from maintenance costs. As always, technologies are not perfect, nor is cloud computing. 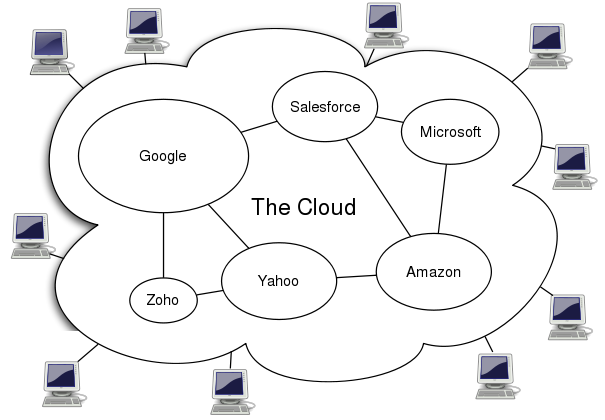 With the rise in the use of cloud computing, several concerns came in to the picture. One of the main concerns is “Data Security.” The “cloud” should be trustable in terms of confidentiality, integrity, and availability. In addition, latency can be a problem with some applications. A user might not find the most suitable application for them, in the “cloud.” If the user has to switch to some other service provider, there are often migration issues since it is not easy to transfer huge amounts of data from one provider to another. Many of these problems will one day be resolved with improved storage and network technologies. In addition, we can expect more use of cloud computing in the future. Mobile devices will become much smaller and will depend entirely on the “cloud.” People will learn to trust the “cloud” and one day you might not even have a hard disk in your laptop… We are walking towards a world that depends on cloud computing. This simple concept will have a huge impact on your future life.